A massage chair is really helpful if you want to simply relax and eliminate back pain at home. 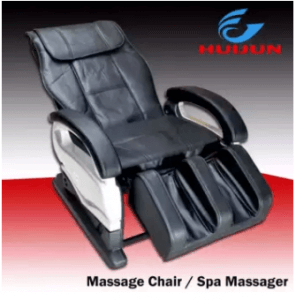 The chair is responsible for letting you feel the sensation of having a massage in a spa. Like many other products on the market, massage chairs have various types. Some are designed with the vibrating equipment, and others have airbags to help relax muscles. It is understandable that choosing the right massage chair needs some thinking. 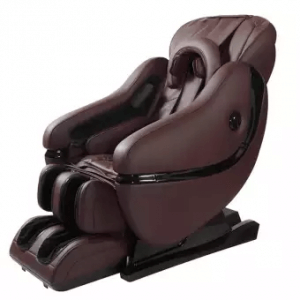 However, there’s no need to worry because we will guide you in this article on how to choose the right massage chair. On top of the buying guide, we will also reveal the top 10 ranking of the best massage chairs to buy online. So, let’s now get into the real business! A massage chair is a perfect tool to relax and relieve stress at home. It saves you time, effort, and money in going to a spa to get a good massage. This is especially helpful for working individuals and for those with tired muscles as they can easily and conveniently relax within the comfort of their homes. The massage chair also helps in preventing fatigue accumulation. Having a massage chair session every day does not allow fatigue to build up in your body. Too much fatigue can slow down your body’s circulation and make you feel tired and sleepy quickly. If you think you are more prone to daily fatigue, then the more you should get a massage chair. Although the massage sensation level of a massage chair cannot equal that of a human massage, it can still help you relax. Several massage chairs on the market are specially designed with a thermal feature, so you might want to consider them to improve your blood circulation. Before we reveal the top 10 ranking, let’s first talk about the buying guide in choosing a massage chair. 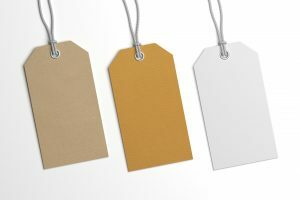 Here, we will discuss the important factors of what to look for in the product, so please pay a close attention. Let’s always remember that a massage chair is not a treatment tool. It is only designed to reduce body pain and to help you relax. Therefore, it is important to understand the functions of a massage chair. For people whose lower body works the most, a massage chair with airbags in the leg part is what you need. The airbags primarily help improve blood flow and calm your tired muscles, which is perfect if your legs do much of the work. If you are working in an office where you take most of your time doing desk work, the risk of experiencing stiff shoulders and neck pain is high. For this reason, you’ll be needing a massage chair with a great vibrating effect and reclining feature. A reclining chair allows your body to stretch properly, calming your muscles and improving blood circulation. If you can pair it with a vibrating massage, that would be better. Back pain has a lot of causes, and the common cause is inappropriate sitting. In this case, you’ll need a massage chair with a thermal function. The heat massage is effective in reducing pain from your back to your waist as it normalizes your blood flow. Massage chairs are quite expensive. The ideal price for a high-quality massage chair is around ₱98,000, but you can already purchase something good at around ₱30,000 to ₱40,000. It is also important to keep in mind that the latest models are not a guarantee to satisfy your needs. If you think the old models are better, then go for it. Keeping up with the trend is not important, but assuring the best service does. Getting a massage chair that won’t consume too much space in your home is something you would want too, right? Before purchasing a massage chair, you also have to think about its allotted space in your home, whether you’ll get a big or small one. Having a bigger massage chair in a smaller home would not make any sense, so choose the size as you see fit. Also, the color and design of the massage chair matter too. If you can get something that can improve your interior décor, then that would be a bonus. 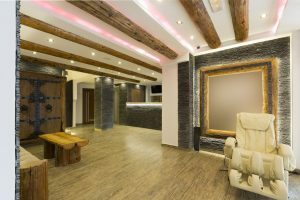 Appreciating the beauty of your home while relaxing on a massage chair is such a wonderful feeling! 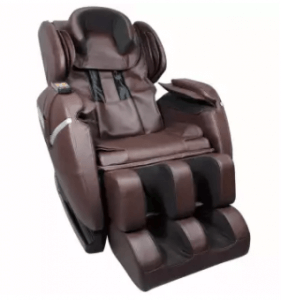 Now, we will introduce the top 10 best massage chairs you can buy online. This ranking will serve as your reference upon selecting the best product for you, so choose wisely! 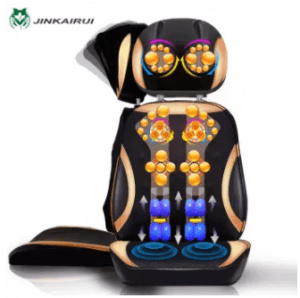 Jinkairui offers a massage chair that lets you enjoy a back massage according to the massaging speed of your preference. Its massaging nodes can move up and down to massage your back, allowing you to select a low or high speed. You can also choose between a full, lower, and upper back massage. This is ideal for people who don’t have much space in their room. You can also focus the nodes to a spot on your back that needs more massage concentration. Its seat is also designed with a vibrating massage that helps lower blood pressure. This massage chair from JB Sports promises to let you experience a relaxing massage, especially with your back. Its L-shape curved rail does a good job in massaging your shoulders to your thigh. This is awesome for people of all ages who only want to give themselves a middle-sized massage at home. It also has control buttons you can check out that are smartly placed into the armrest. You can enjoy listening to your favorite playlist too because you can easily place your phone in its phone slot. Huijun Sports introduces a massage chair that can recline from 115 to 165 degrees from the floor, letting you experience an immediate relief. It gives you extra support and allows you to position correctly to lessen your back pain. It also has various massage features you can enjoy using. 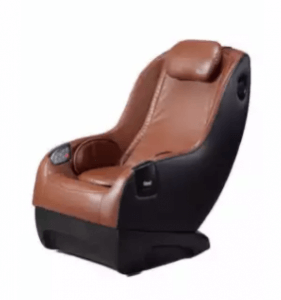 If you need a reclining massage chair with reasonable price, this is the best product for you. 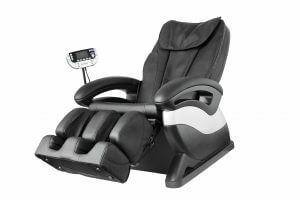 Aside from the back pain relief, the massage chair also has a calf and foot massage technology that relaxes your lower legs. Its overall performance lessens muscle spasm for a more relaxed you. This wonderfully made massage chair boasts with a zero gravity feature that promises to relieve you from body pain. It allows you to position your entire body correctly, reducing muscle pressure and preventing back pain. The massage chair is also made of multi-layer pads and pillows for a more comfortable massage sitting. This is recommended for office workers who are usually in a sitting position and for those who are frequently experiencing back pain. It also has a heat therapy that helps normalize your blood circulation and an airbag massage that calms your muscles. It features a stretch mode as well, reclining the chair to almost horizontal. The number 1 on the list frees you from stress as it gently and comfortably lets you relax through a massage. It features a full-body airbag massage technology with airbags evenly distributed throughout the chair. It also has six intensity level options you can choose from, allowing you to enjoy various intensity types. This is recommended for tired individuals and seniors who simply wish to relax their whole body at home. It also has carbon fiber heating pads distinctively placed at the back, hip, calf, and waist areas to calm muscle tension. You can also have fun playing your favorite hits by connecting your device to its Bluetooth system while having a massage. As what was mentioned earlier, a massage chair is not a treatment tool. If you are experiencing symptoms of a chronic illness, then you might need a consultation, not a massage chair. If it gives you pain too, then stop using it. You might have to change it to a better one that can really give you comfort. In other words, a massage chair should make you feel comfortable and relaxed and does not promote pain. A massage chair may be costly, but choosing the best one is a good investment choice. Just remember to check the essentials in choosing a massage chair so you will be guided accordingly. Once you get the best massage chair, you will definitely enjoy its long-term benefits!